Both the Federal Communications Commission (FCC) and the Federal Bureau of Investigation (FBI) are warning consumers about the reemergence of the Chinese embassy phone scam. The original version targeted consumers in cities with large Chinese immigrant populations; it pressured victims into picking up a package at the Chinese consulate office or provide information to the Chinese consulate to keep from getting in trouble. The Chinese consulate version of the scam worked so well -- tricking consumers in New York City alone out of an estimated $3 million -- that scammers have dusted it off, added in some new bells and whistles, and are spreading it across America. “In some variations of this scam, victims may be first told that a suspicious document, package, or person was found or detained, usually at an airport located in China,” alerts the FBI. In yet another version of the scam, people masquerading as Chinese credit card company employees contact consumers claiming the consumer has an overdue balance. To avoid further trouble, the targets are instructed to work with Chinese law enforcement and personally address the outstanding payment. The moniker “investigator” refers to the people who victims are transferred to and strong-armed into wiring funds to in China or Hong Kong to fix the situation. If the targets don’t play along, they’re threatened with a loss of assets, deportation back to China, or even jail. “If contacted by a number appearing to be from the Chinese embassy or consulate and/or a Chinese credit card company, always verify through outside sources the caller is legitimate,” writes the FBI. That “outside source?” The FBI’s own Internet Crime Complaint Center. 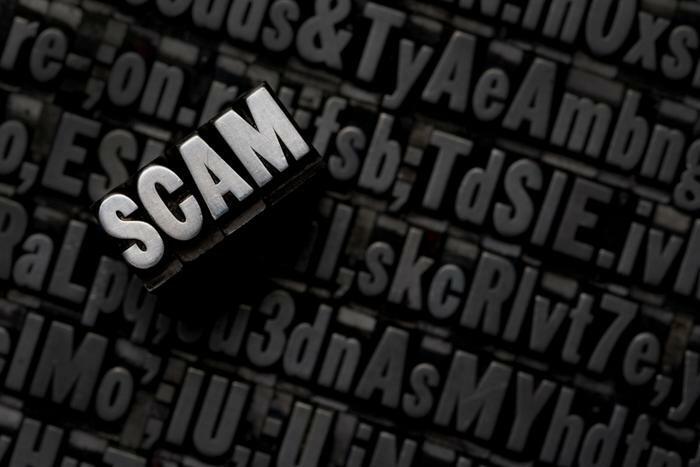 The FCC’s warning to consumers is simple and direct: if the caller ID refers to or displays 1-888-225-5322 (1-888-CALL-FCC), it’s a scammer and the consumer should hang up immediately. “The FCC does not call and ask for money… and also does not work with foreign consulates to collect civil or criminal fines from individuals,” the agency writes. The agency adds that consumers should never give out -- or confirm -- personal information such as mother’s maiden names, Social Security numbers, and certainly not usernames/passwords. The FCC has also created a simple list of do’s and don’ts that consumers can print out and keep by the phone. Government agencies don’t make phone calls or send text messages to citizens, but playing that angle is popular among scammers. The Internal Revenue Service (IRS) and Department of Homeland Security were both used recently as swindle leverage, and the grand-dad of government scams -- the offer of grant money -- is still in vogue, purporting to help consumers receive a government-backed financial grant. ConsumerAffairs sees a common thread running true through most phone scams -- the request for secrecy. If a loved one or friend mentions any of the above tactics, be sure to warn them that they may be walking into a scam.